Setting up a subscription service these days usually requires the use of a bank account, debit or credit card. This can mean that a number of direct debits or standing orders can be leaving accounts at different times of the month. For subscriptions set up on a credit card, interest charges could be added every month if the credit card cannot be paid off. This sometimes makes getting a subscription both confusing and expensive. Using a MasterCard prepaid card could be the perfect solution to these problems. Not everyone has access to a bank account. This could be due to problems with their credit rating or it could be because they’ve only just arrived in the country. Even those who have a bank account may not have been issued with a credit or debit card. Prepaid cards are guaranteed to be issued to anyone who applies* and no credit checks are carried out. The person using the card cannot become deeply in debt as the card needs to be loaded with their own funds before use. It is a failsafe way to keep track of finances and allows anyone to take up subscription services which otherwise may not have been available to them. Using a MasterCard® such as the prepaid Gold MasterCard from Cashplus can help in these circumstances. The user can simply load up their card with enough money to cover their subscriptions for the month and rest assured that there will be enough money available to cover the cost. In this way, a Cashplus prepaid card can act as a great alternative to a bank account. This offers good flexibility for those who need to get their wages paid electronically but do not have a standard banking relationship. Online fraud is also a huge concern for people who want to have access to online subscription services. Thankfully a Cashplus prepaid card offers a viable alternative if someone is concerned about using a debit or credit card online. The Cashplus prepaid card even offers fraud protection so any money lost can be replaced, as long as the card has been used safely. A prepaid card such as one from Cashplus also has other convenient features. Members can access their account online and check their balance with free online statements available 24/7. 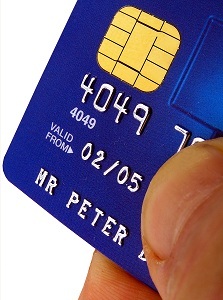 Changes can be made to standing orders and deposits made onto the card can be checked. Keeping track of upcoming standing orders is easy and so payments are much less likely to be missed. Prepaid card holders who access subscription services through Cashplus can also take advantage of a Cashback Rewards scheme. This means that those people who choose to set up a Sky account, for example, can get as much as £32.50 cashback. This makes using a prepaid card both convenient and financially worthwhile. A prepaid card is a great solution for people who may not have been able to access subscription services. Finally, something is available which puts all people on an equal playing field regardless of their financial circumstances. *Subject to the card issuer’s terms and conditions.